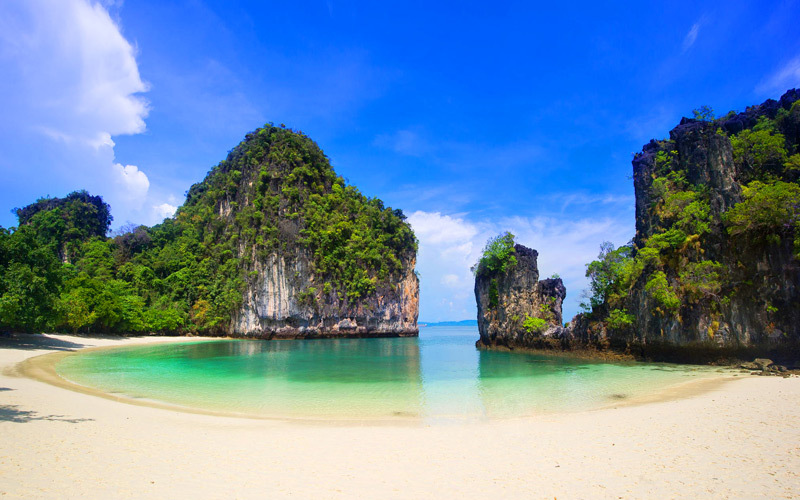 Hong island : ? Hong ? meaning in Thai is ?Room?. So Hong island is natural room from god. The cliffs is wall, the floor is sea. Only one space for entrance and exit. 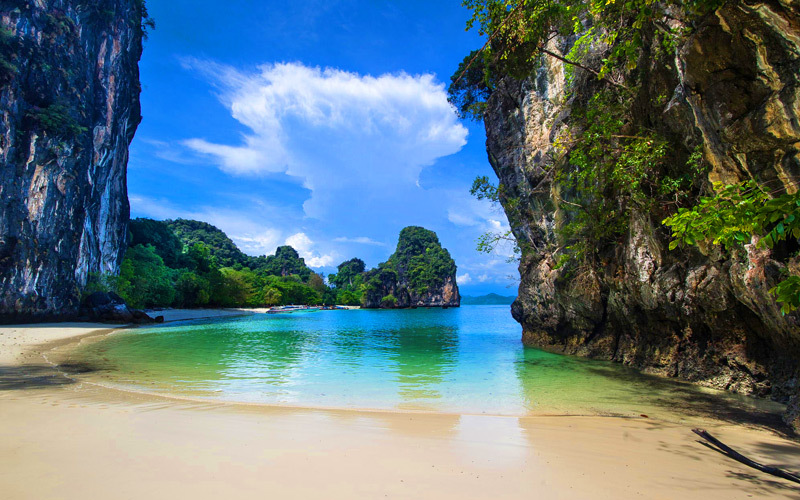 Hong island at Krabi province. 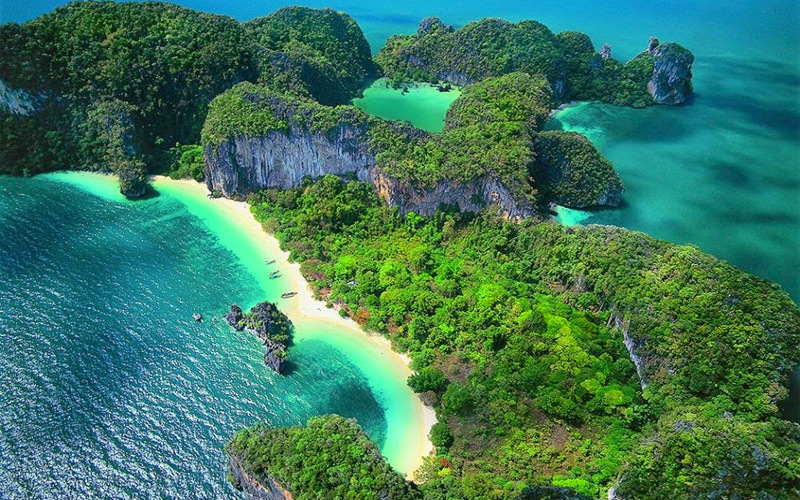 Hong island at Phang-nga province. Be careful visit wrong place! ?Different area different feel? 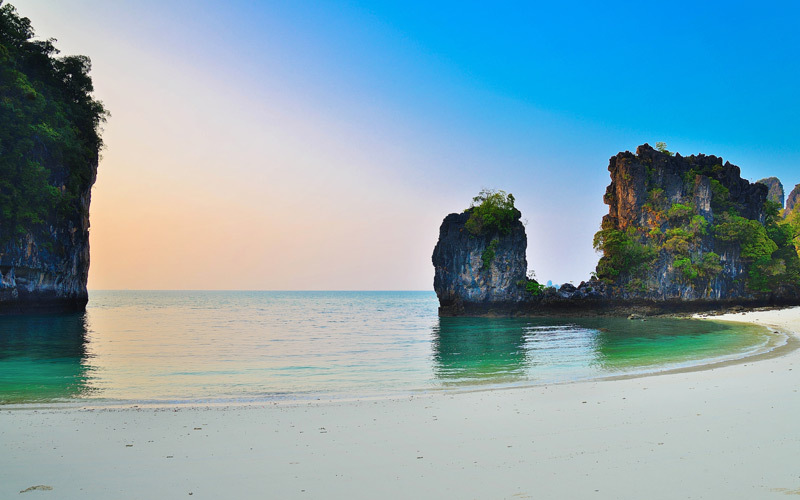 Of course Hong island that we talk about it?s belong to Krabi province, accepted by tourists more beautiful than other. 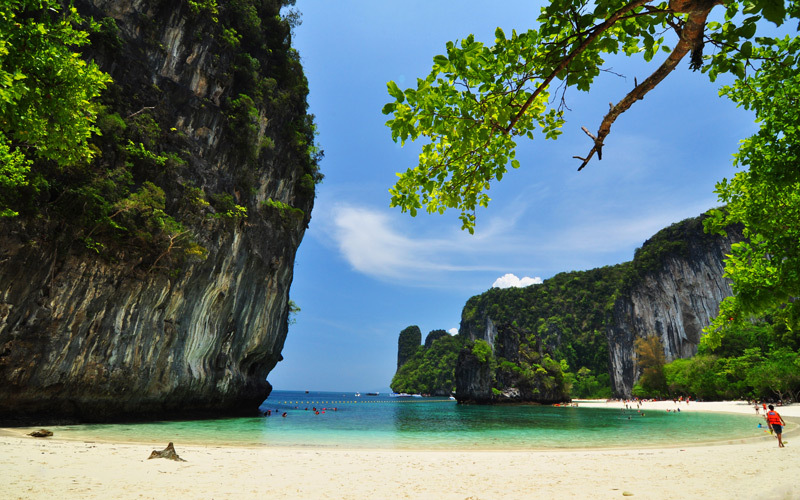 Because same area with Hong island (Krabi) have hong?s bay, soft white sand beach there. 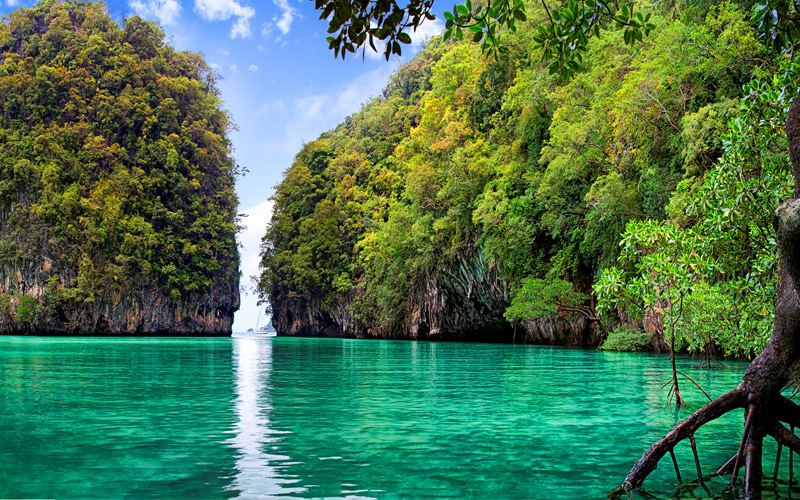 Two curved bay are connecting if see from top, both beaches same like two wing of bird drawn by god.